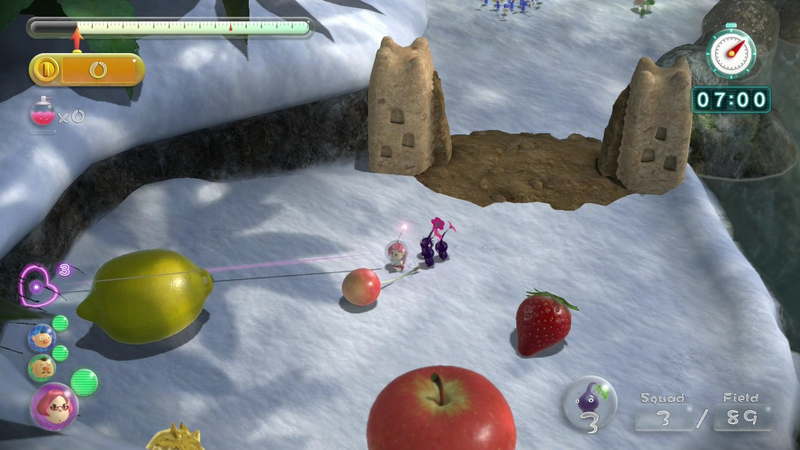 Nintendo has certainly been dangling a carrot in front of us with Pikmin 3. Leading the charge at Nintendo's E3 Press Conference last year, championed by the godfather of gaming, Shigeru Miyamoto, it was easily the most anticipated launch title for the Wii U. But then the disappointing news came that it would not be released alongside the new system. Nintendo set a new date for the release of the game, but that date was pushed back as well. A final delay brings us to our current state, with the game expected to launch on August 5th in North America. Although, with Nintendo's website still listing the release as "To be determined,” don't schedule the first week of August off just yet. Despite all of these postponements, the Nintendo faithful are taking the situation with a grain of salt. Why? Because more than any other developer, Nintendo has always prided itself on putting forth a completed and polished final product, even if that means stalling system sales. 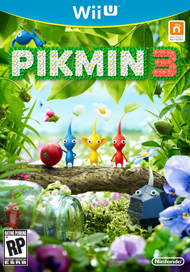 Had Pikmin 3 been launched this past February, you can bet more living rooms would have a glossy Wii U parked in front of the TV, but the game may have suffered from the premature release. Nintendo has been forthcoming with the fact that it has many in-house games being developed, and their staff has had to shift between projects, putting some titles on the shelf. 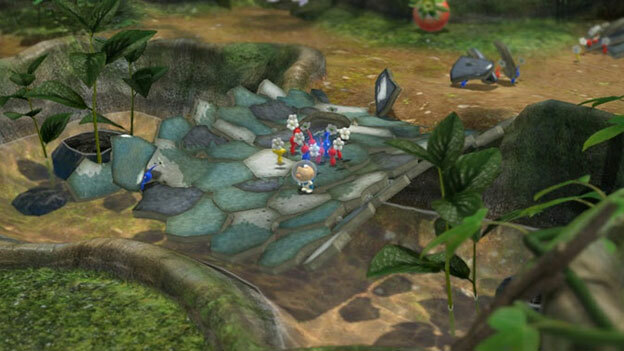 Pikmin has actually been in the works since 2008. It was originally designed for the Wii, so you can see how Nintendo has opted for the slow-and-steady approach. Most of us appreciate that attention, especially for Pikmin 3, which is why even with all the Mario titles spilling out this year, the adventure of the Hocotate Freight crew is still the most anticipated Nintendo offering of 2013. But let's move on to the game itself, where a smattering of new information has cleared the fog. Your miniscule captain, once again surrounded by natural hazards and ravenous beasts, must rely on the local militia to thwart these foes and haul produce and other items back to the ship. 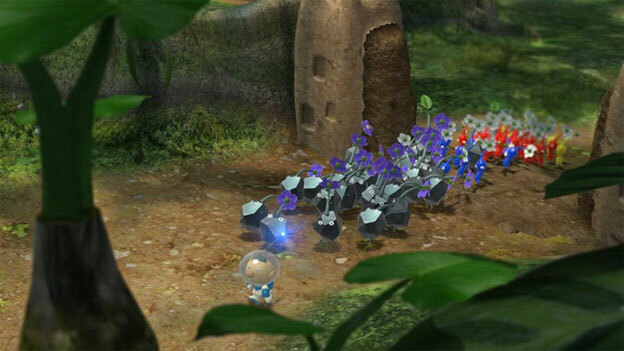 These unlikely soldiers are, of course, Pikmin, ant-like floral creatures of varying colors. Each hue corresponds to a particular ability. Red Pikmin are flame-retardant, Blue Pikmin cannot drown, and Yellow Pikmin are immune to electrical jolts. 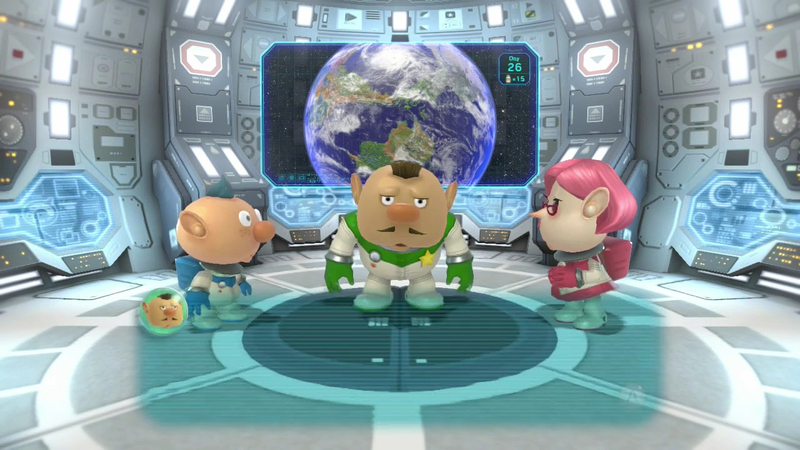 These three colors comprise the trio of returning Pikmin from the original 2001 GameCube title. 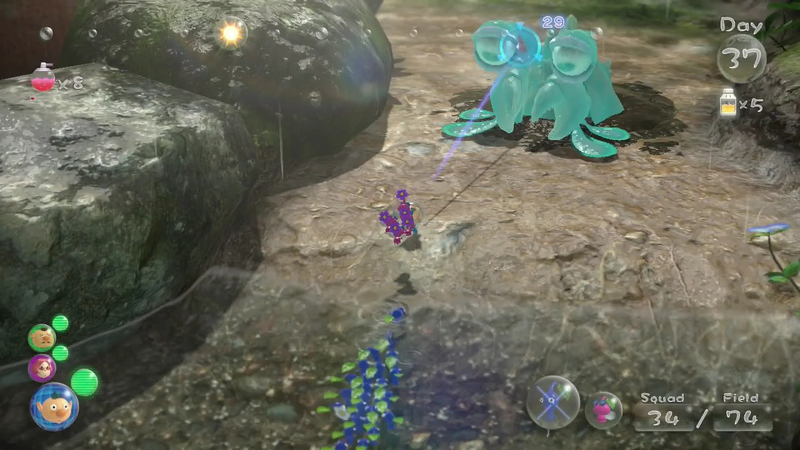 Two brand-new Pikmin have been discovered – the Rock Pikmin, who can smash crystal barriers and enemy shells, and the Pink Pikmin, with the ability to fly. 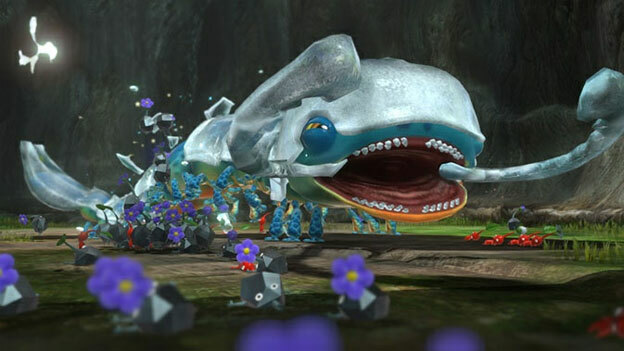 The Purple Pikmin and White Pikmin from the second title of the series have been spotted in recent trailers, though it is still unconfirmed whether they will retain their previous characteristics. The White had the ability to be unaffected by poisonous gases and the Purple was immune to all hazards and was stronger than other Pikmin. Despite their special characteristics, Pikmin are still fragile creatures, and completely dependent on your ability to keep them out of harm's way. They are instantly lovable creatures, so expect to have your heartstrings tugged when they let out a tiny wail as they are eaten or squashed. This makes your role as commander that much more important. 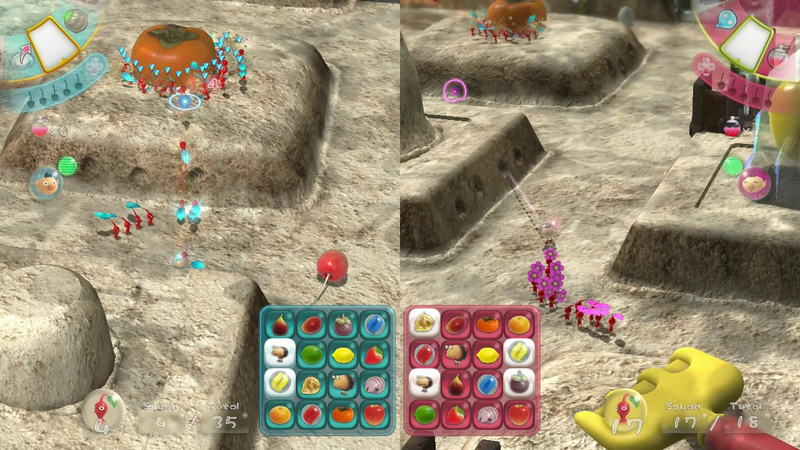 As in past games, you can whistle your Pikmin into formation and manually maneuver them around. Each enemy has their own attack pattern, and it is your job to watch for when a strike is eminent. 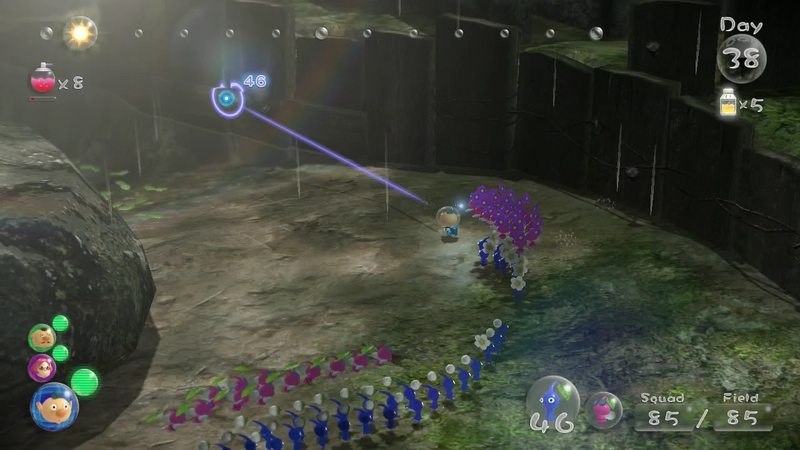 You also need to pounce on attack opportunities, slinging the best suited Pikmin to take down enemies quickly and with the fewest casualties. 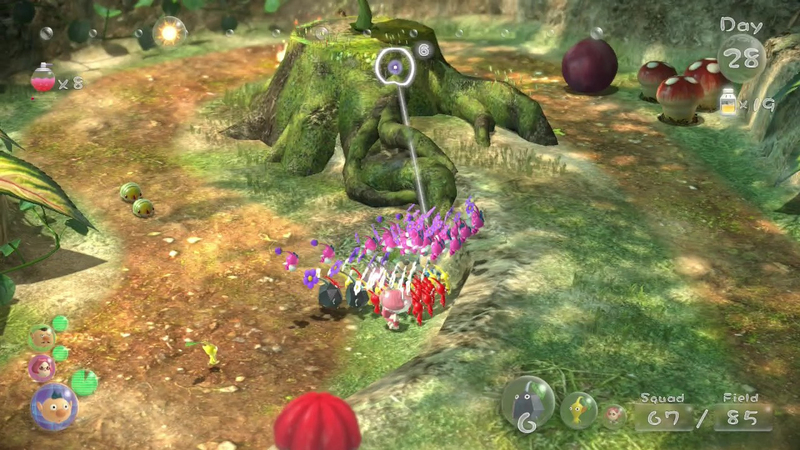 Deceased foes and other useful items can be carried back to the Onions, the sprouting stations for producing more Pikmin. 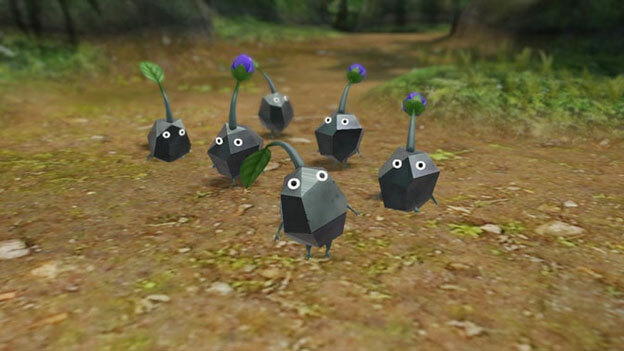 Along with increasing your troop total (up to a maximum of one hundred), the strength of the Pikmin can also be increased, indicated by the growth progression atop their heads, from leaf to bud to flower. 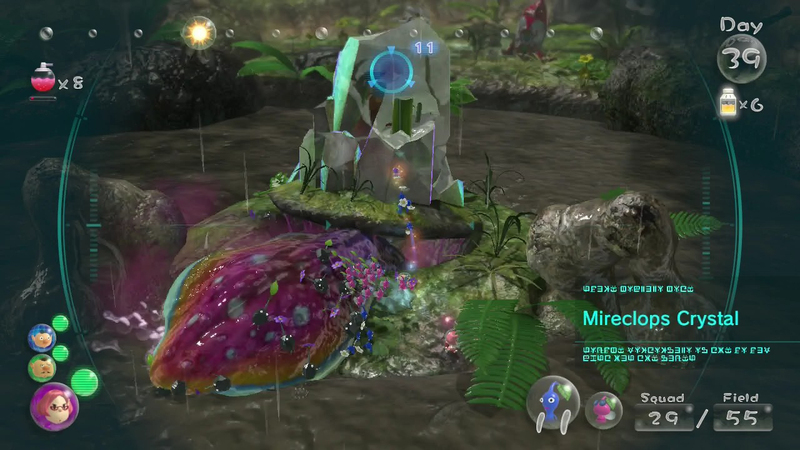 Though the Pikmin are simple in design, the rest of the visuals are anything but. With photorealistic backdrops and cleverly drawn creatures, you'll want to explore every inch of each map just to enjoy the florae and faunae. 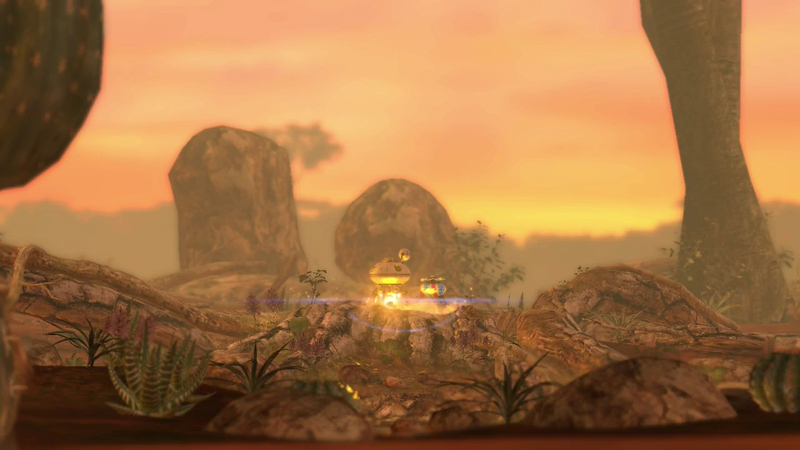 With great lighting and water effects, as well as believable animations for everything on screen, Pikmin 3 builds on the visual prowess of its predecessors. You will control up to four crew members, assigning each of their duties in an effort to make the most efficient use of your day before night falls. You can choose between either the Wii Remote or the Wii U GamePad, though in either case the touchscreen acts as your tactical overhead map. This may prove to be the only way to get another player involved, should Nintendo commit to single-player only controls. We still have no official word on the player limit, so I for one will keep my hopes up that adding a multiplayer feature is the reason for the launch delay. With the constant prophecies of doom and gloom for the Wii U stemming from less than stellar sales and third-party developers passing on the system, Nintendo has been quick to dole out announcements of in-house projects in the works. Yet the call for Pikmin 3 is still loud and clear. There is little doubt that it will receive strong praise from critics and gamers alike when it is finally released, and hopefully the stalwart support will kick-start console sales and raise Nintendo's standing in the next-gen campaign. Players can play using Wii Remote Plus and Nunchuk-based controls or the Wii U GamePad controller. 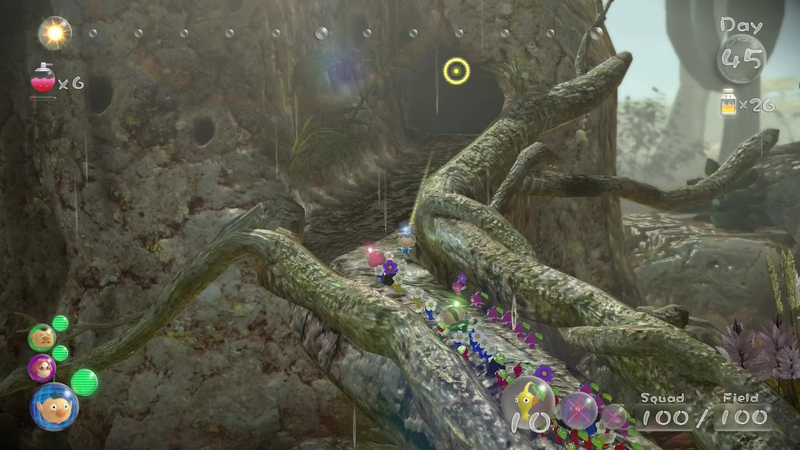 The GamePad acts as an overhead map and radar to track Pikmin movements in real time. The greater processing and HD capabilities of the Wii U console are put to extensive use, resulting in a more intricately designed world. 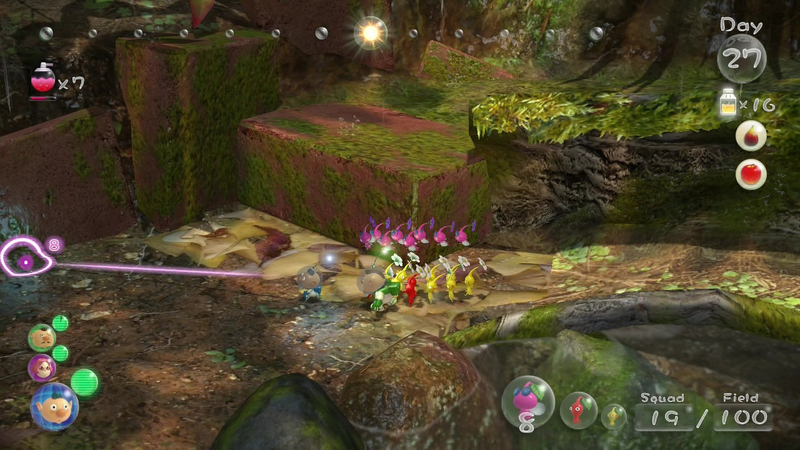 In addition to the five original types of Pikmin encountered in previous games, the new Rock Pikmin bring powerful new abilities and are able to crack hard outer shells of enemies and break through solid barriers. Mission Mode challenges players to earn the most treasure in a given time.